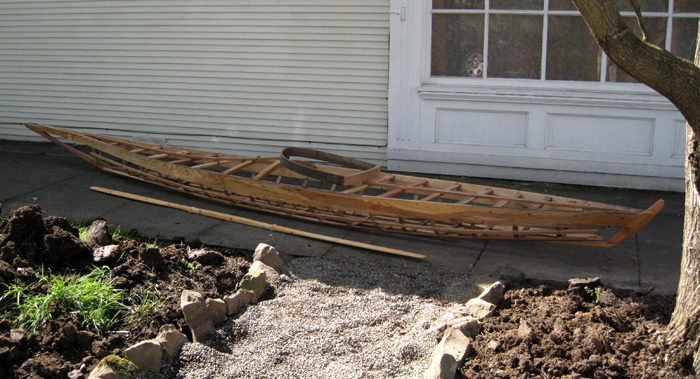 This is a replica based on the Canadian Canoe Museum's 990.61, built in 1976 by Povungnituk Inuit. 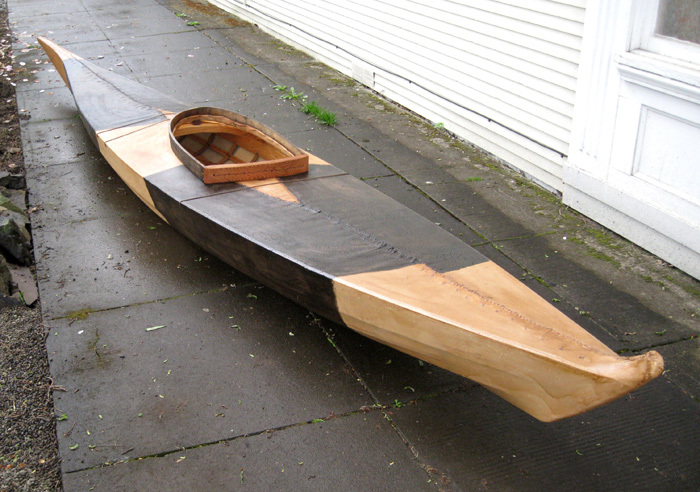 It measures 18'6-3/4" long by 30-7/8" and is 10-5/8" depth-to-sheer. 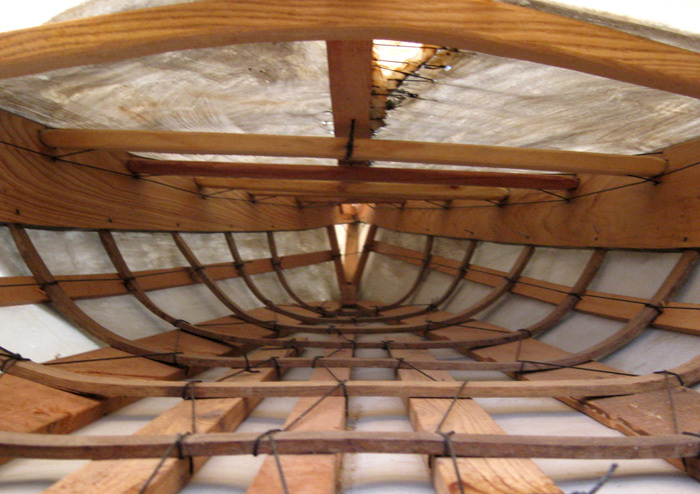 Frame completed September, 2011; covered April 2012. 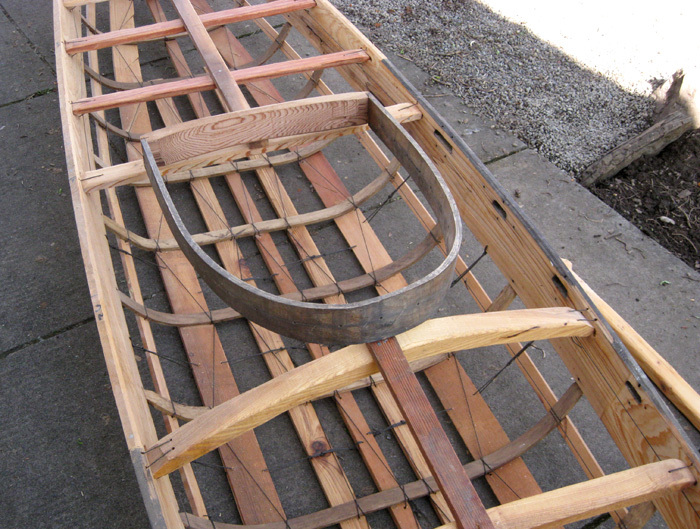 The color scheme mimics use of scraped and un-scraped sealskins. 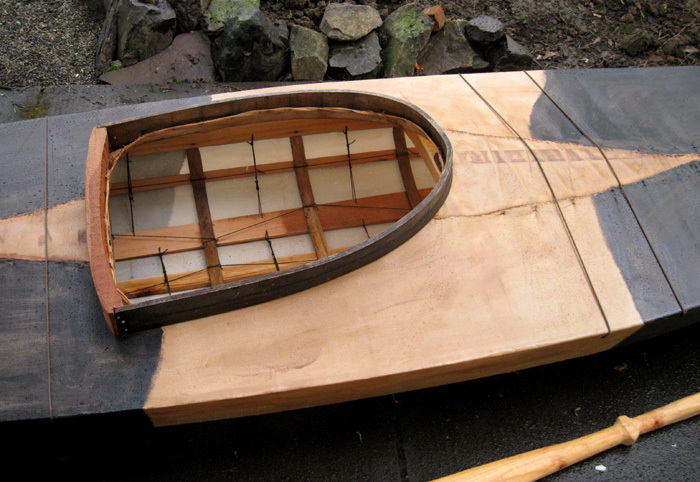 Such a pattern is relatively common on kayaks from this region. 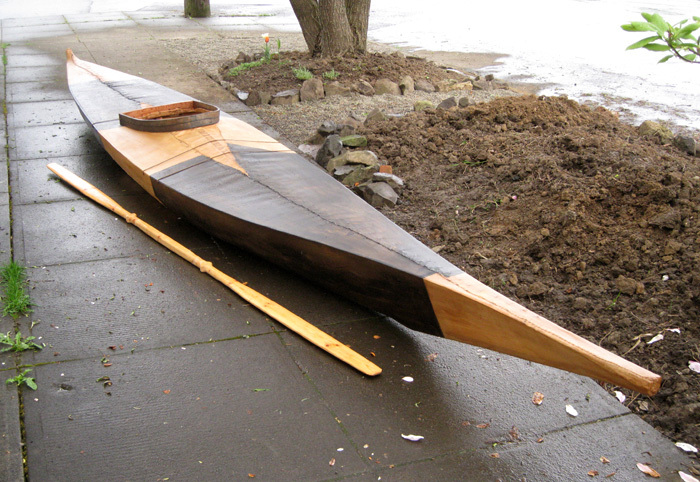 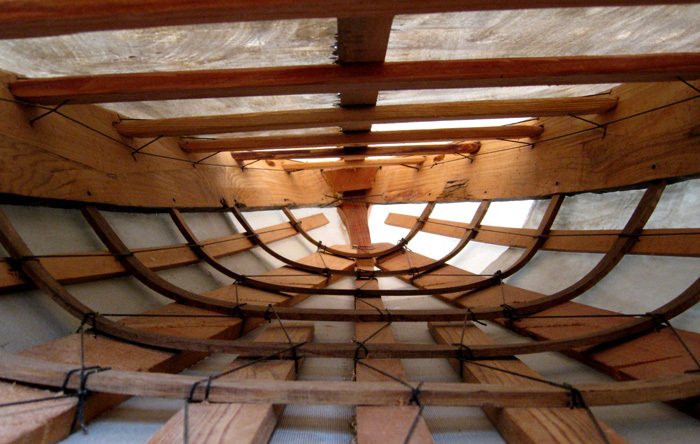 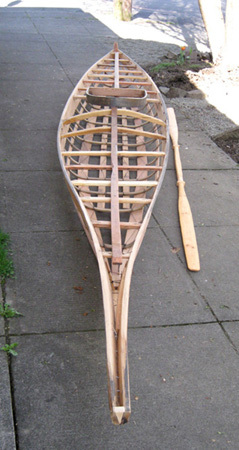 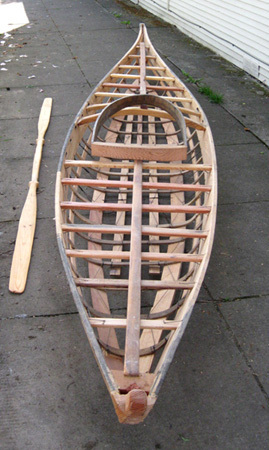 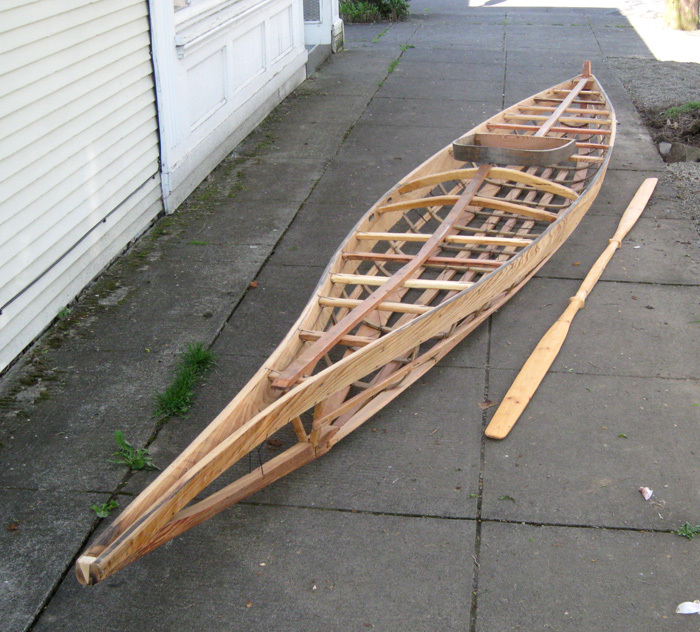 The gunwales are recycled from an earlier project, as is the coaming front.